Members from all over the province gathered to lobby our politicians for Developmental Services Day. 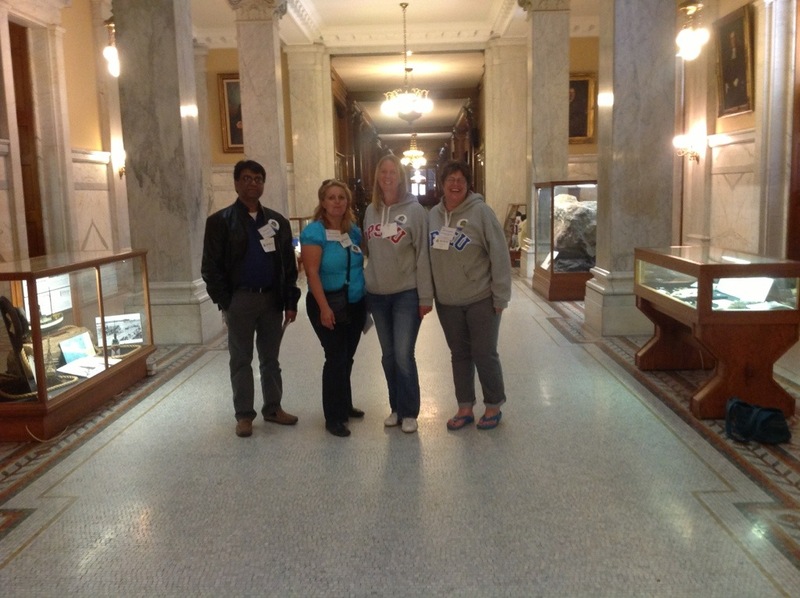 Some of our local 166 members were able to make it to Queens Park to “Stand Up For Developmental Services” as part of a province wide lobbying effort!!!! Anago Reaches Tentative Agreement ! The bargaining team for Anago was able to successfully negotiate a tentative agreement! Stay tuned for further details. 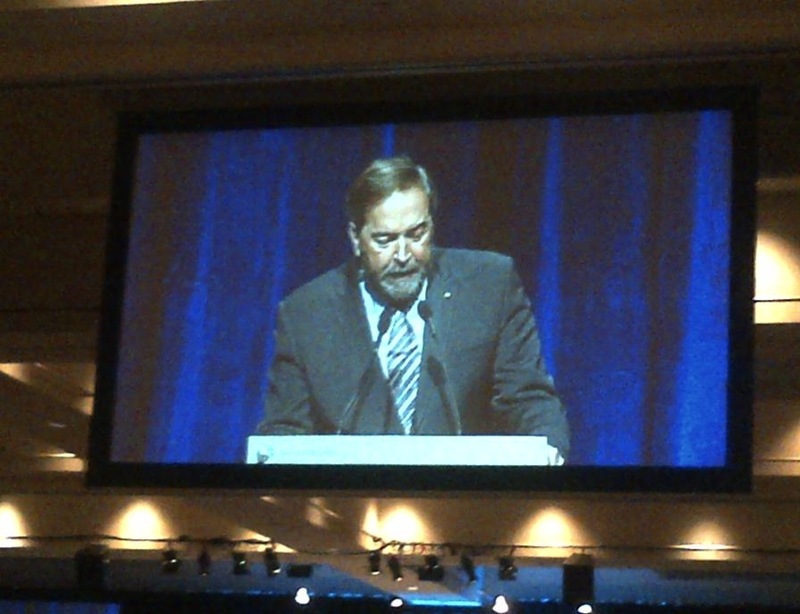 Sue, 2nd VP and Lisa President at CLC….Tom Mulcair, Leader of Canada’s NDP at the CLC, Political Action Conference, Toronto. There will be a General Membership Meeting Scheduled for 6pm on January 29th, 2012. Please find below the link to the online stress survey. The survey is being conducted with the help of the OPSEU’s Health and Safety Unit who will be collecting the survey results and analyzing them. Your answers will be kept in confidence by the union and only the group results will be reported to our local. The survey will identify which specific workplace stress factors negatively affect workers’ health outcomes. The goal is to identify the top three issues and prepare a plan to approach the employer with the goal of addressing the causes of those stressors. Participation is completely voluntary, but the more who participate the stronger the validity of the results will be. I will be sending a set of three reminders to ensure everyone has a chance to participate. The survey is for your use only – so please do not circulate the link. If you know of anyone who did not get their link please have them contact me directly. If you have any concerns or questions about the survey please contact me. If accessing the survey electronically is an issue, please let me know. Jonathan Guider, France D’Oria and Mike Serwatuk are the newly elected members of our a resurrected Pay Equity Committee with Kim Yeats as the 1st Alternate. We will need to schedule another day of elections for the 3rd Unit Steward position as the 3rd place nominee did not have a clear majority. Elections will be held on Monday January 7th, 2013. To ensure that we have successfully completed our unit elections which MUST be completed by our Local Officer Election date of January 29th. The Craigwood Stewards will be meeting that day at 4:30pm. John Newland posing by his marker that won him the Gift Card for “closest drive to the pin”. Amazing drive John! 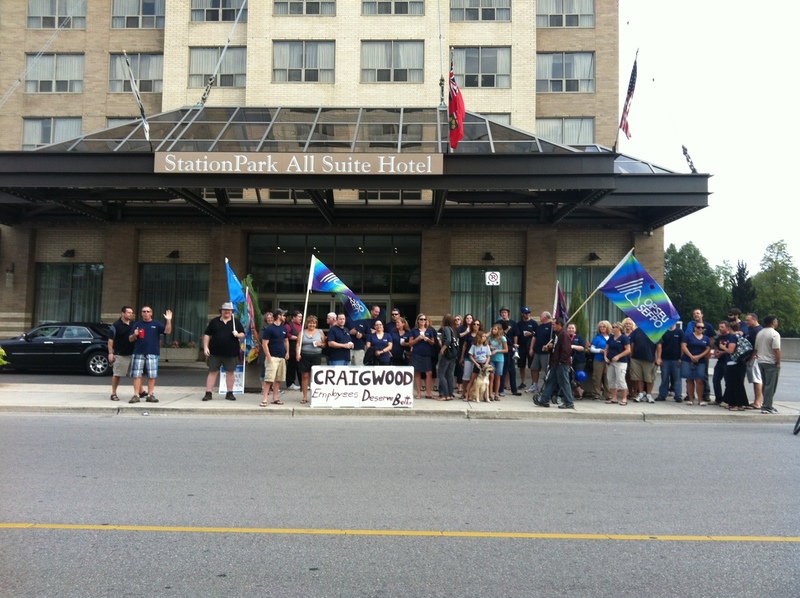 Craigwood and OPSEU hosted their 2nd annual golf tournament. Management and members came out together for a fun day of golf and dinner. The weather was a bit chilly and they avoided the rain. The tournament ended in a tie between two teams after 18 holes. It was decided to have a “putt off” on the 18th green so that everyone was able to spectate from the comforts of the balcony of the clubhouse. Joe “out-putted” Braden that afternoon to secure the win for his team! Everyone had a great time and it was another great opportunity for management and employees to get out for some good clean fun. Looking forward to next years tournament!